We are a proud United Way partner agency! INTERESTED IN BECOMING A MEMBER OF OUR SPEECH TEAM? Join an established non-profit practice with 4 other SLPs and an Audiologist focused on pediatric patients. Hedges is seeking a full-time salaried SLP-CCC. Hedges has the capability to provide supervision for SLP CFY. A solid benefits package with paid major medical, dental and life insurances as well as retirement match, sick leave, vacation time, 12 paid holidays and paid initial membership sign- up fee for the local YMCA is offered.is offered. Hedges pays OSHA conference registration & hotel. Oklahoma license fee is paid by Hedges after first year of employment. Therapy & testing materials furnished along with ipad and computer. Billing handled by office staff. Each SLP has their own therapy room with adjoining family observation room. Signing bonus/moving expenses negotiable. Must be Oklahoma licensed SLP or SLP CFY or able to be state licensed and teacher credential. Must be able to be Medicare and Medicaid contracted. This very satisfied thank-you letter was written by one of our youngest clients here at Hedges. 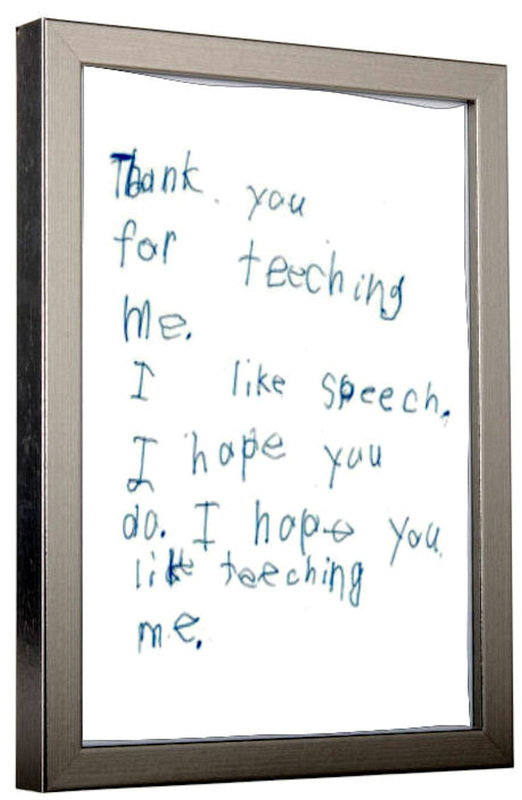 It reflects that we indeed live our mission of providing quality speech, language and hearing therapy. In working with community professionals, Hedges is committed to improving communication skills for those in need in NW Oklahoma. 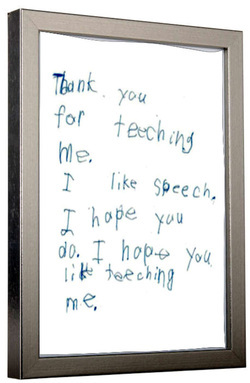 To provide speech, language and hearing therapy. In working with community professionals, Hedges is committed to improving communication skills for those in need in NW Oklahoma.